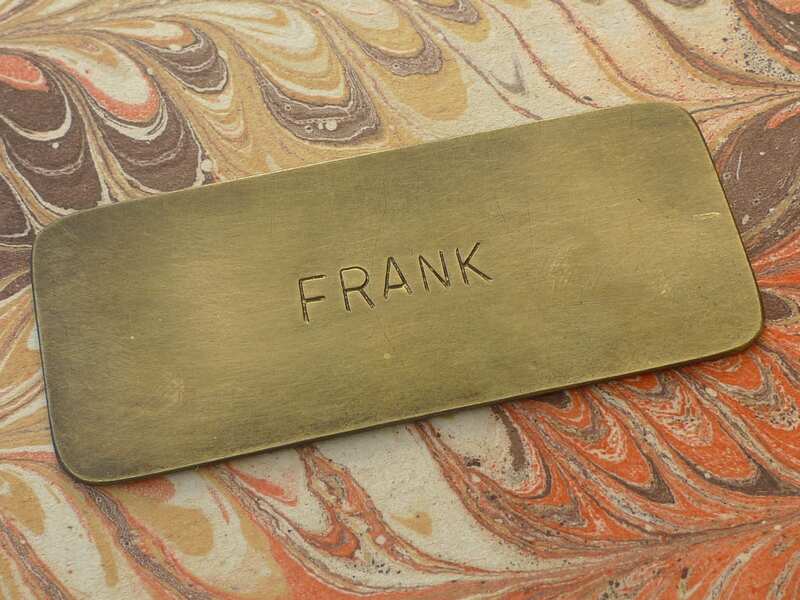 Hand-stamped brass nameplate. 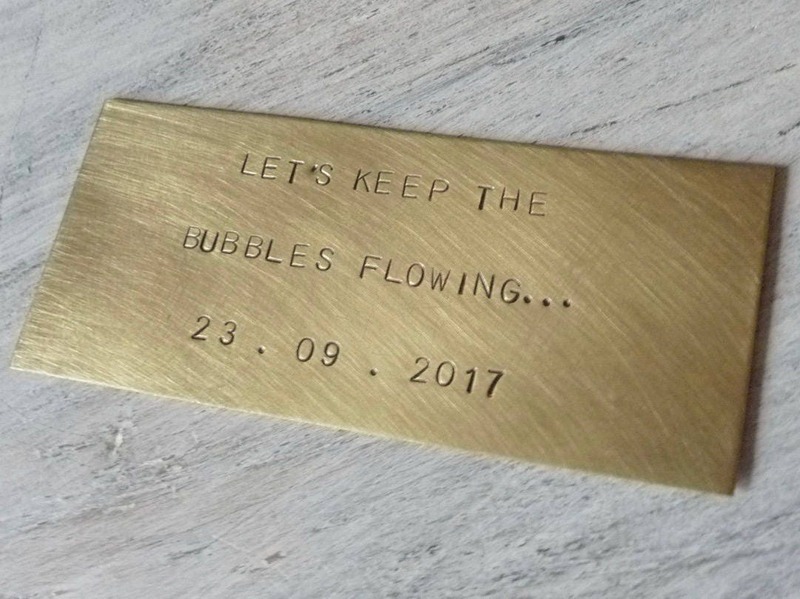 Stamped by hand, letter by letter using a hammer and punch, giving these plaques a timeless old world feel, perfect for keepsakes and memorials. •SIZE: approx 8 x 3.5 cm plate (3.15 x 1.4 inches) Please note the last photo sample is smaller and shown only as a display of the rounded corner option. 👉Please send your text as you want it stamped. 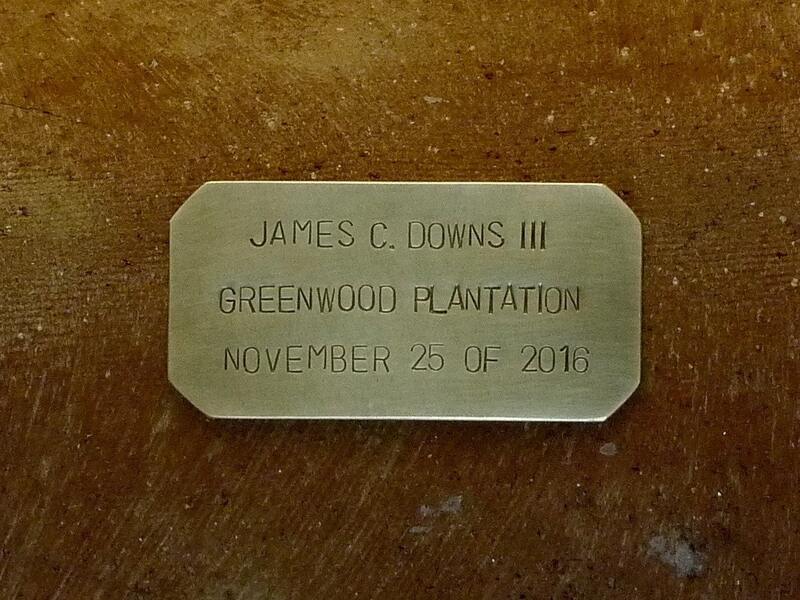 Each plate is hand-stamped & cut to size, then lightly aged. Minor variations in each plate are typical for this handmade item. Uppercase letters only. No refunds on personalized items unless a mistake was made by the seller. To avoid delays or errors, please be available via Etsy in case I need to contact you with a question about your order.